The most premium color sealer for your grout. Color sealing is a fantastic solution to a grout stain problem. Do you have an old floor or shower that is stained in areas, but don't have the money and/or the desire to rip it up and start over? 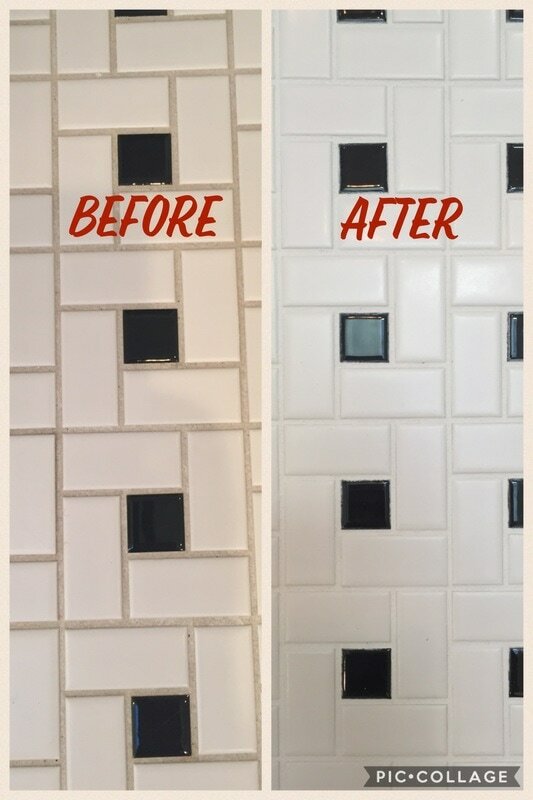 Or do you just want to change the look of your grout? If you said yes to either of these questions, the color sealing process is for you! 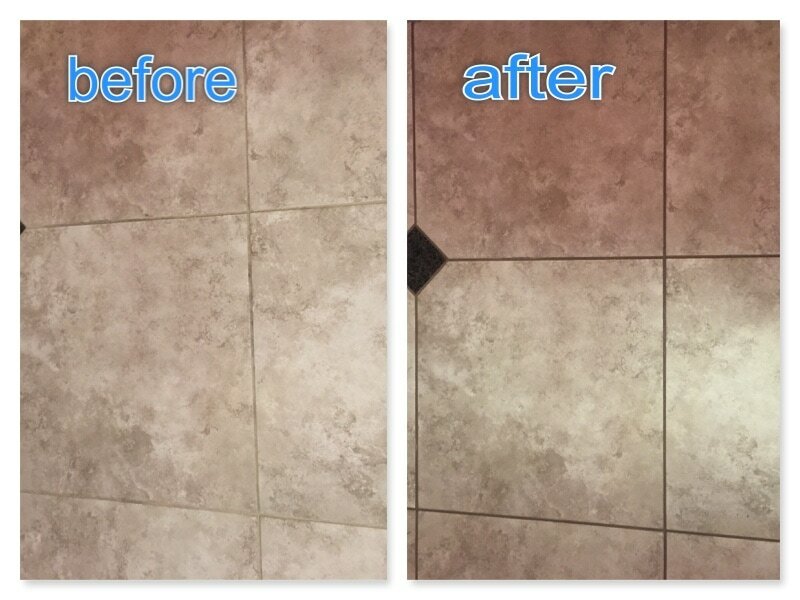 If you have a tile surface, you know how frustrating it can be keeping that grout clean and nice looking. As soon as dirt or other soils get into the grout, it can be a pain to get out. If you don't get it out soon, it will further embed itself into the grout with each successive cleaning, breaking down into smaller and smaller pieces until it practically becomes one with the grout. At this point, it has stained the grout, and even if it is cleaned professionally with an extraction process, the grout will remain discolored. The only options at this point are a costly total re-grouting process or color sealing. Aside from the ability to eliminate the stained appearance to your grout, color sealing has a major advantage to normal clear sealing; it lasts longer. Much longer. Where clear seal lasts 2-3 years on average, color seal lasts 15 years! It is a far superior seal, and has an added bonus of being easier to clean than a surface that has been sealed with normal clear seal. Think of the differences in quality from cheap paint to high end paint. Walls painted with cheap paint mark up easily, don't they? If you try to clean the mark off a wall that has the cheap paint, it will rub off some of the paint. But if you clean the mark off a wall that has high end paint, the paint won't rub off easily. Just an analogy, just to make it easy to see the difference. We have been color sealing for five years now, and our clients love the difference in their floors and showers that have been color sealed. There really is a dramatic difference in the look, feel, and impression a color sealed surface provides. Greenville Tile Cleaning has become the upstate's color sealing leader, and we are very proud of the work we do!